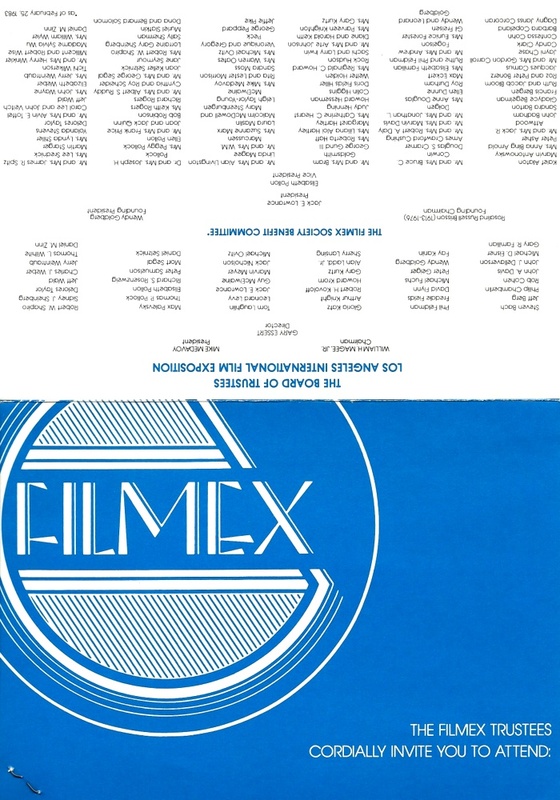 Filmex ’83 I imagine would’ve been quite the occasion. 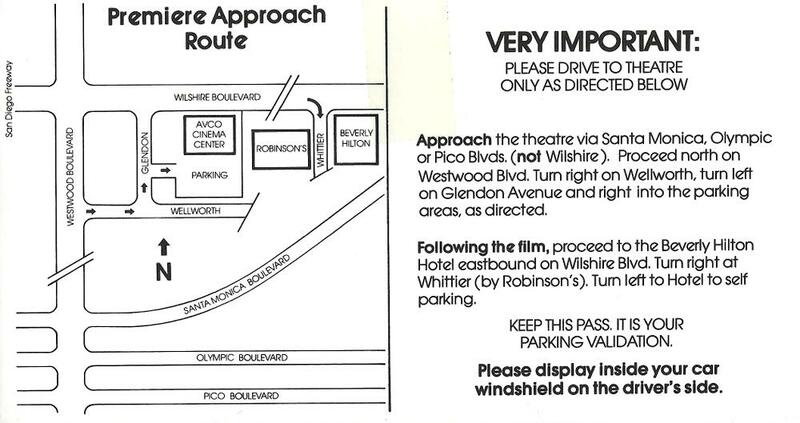 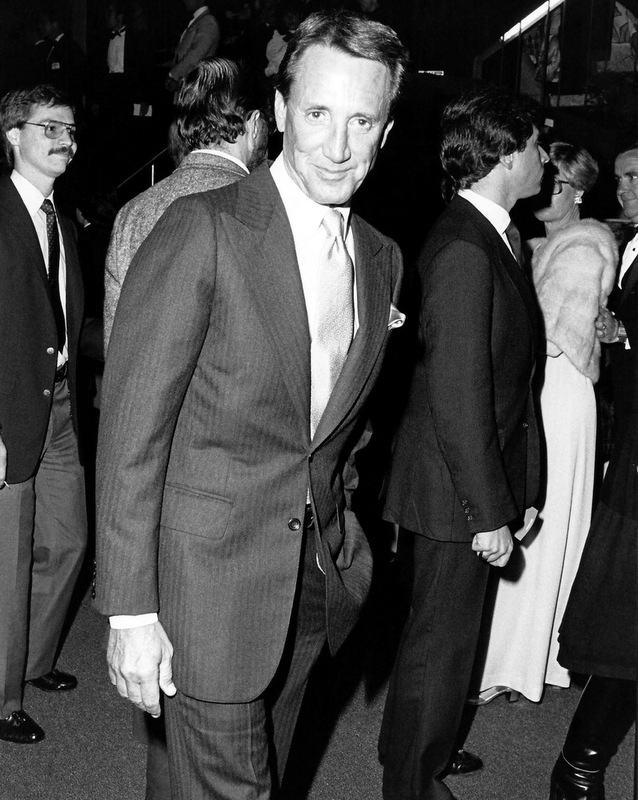 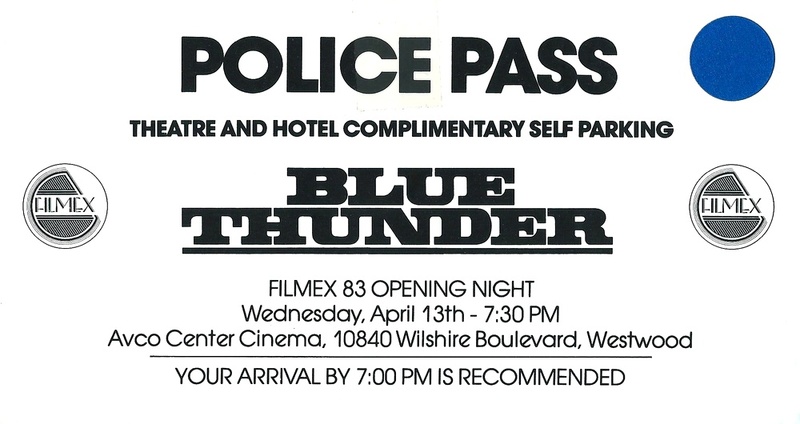 A glamorous Hollywood event of the old school at the Avco Centre Cinema, Columbia Pictures and Rastar Films, Inc. selected the venue for the US premiere of its summer blockbuster Blue Thunder. 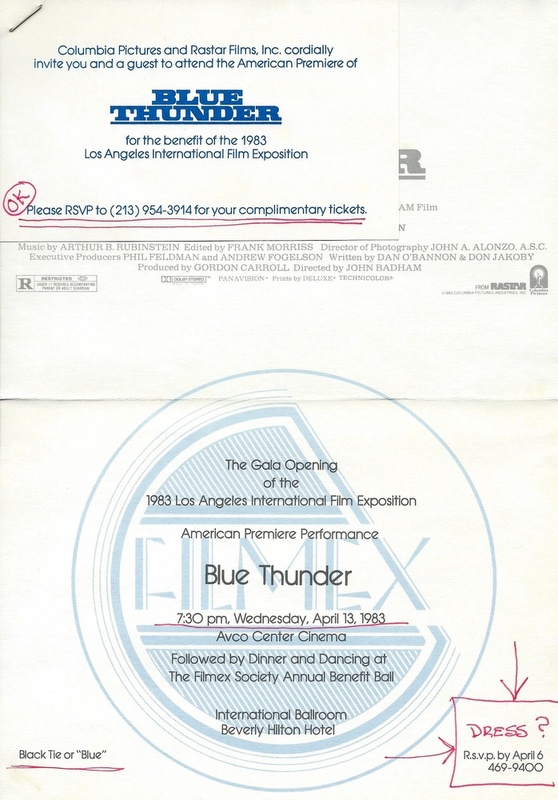 Despite indifferent reviews from preview showings critical of placing the emphasis and value of technology over the human factor, Blue Thunder opened to strong box-office and audience popularity (especially with its eventual release in Europe). 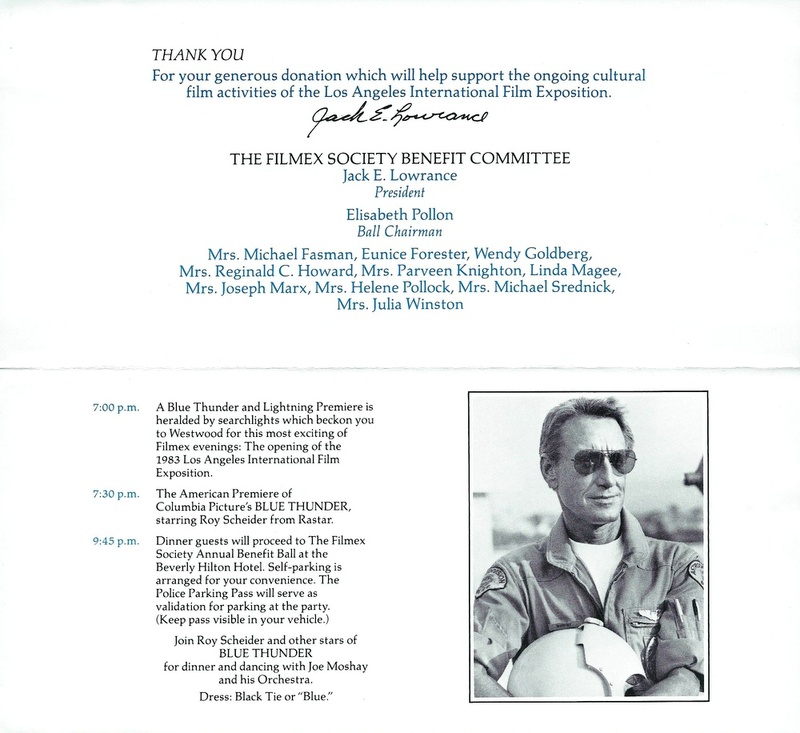 I was lucky enough to acquire this set of memorabilia from the premiere (which included two tickets and a newspaper article) some time ago and have never seen it offered before to come.